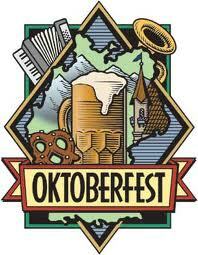 There’s Still Time to Get to Oktoberfest! The world’s biggest party starts in just over a month, and unlike last year’s historic 200th anniversary edition, which drew about 2 million more visitors than usual and essentially shut down Munich, there is still some space for 2011. I’ve been a couple of times, including last year’s bicentennial, and I firmly believe Oktoberfest is a true bucket-list event, something you need to attend at least once in your lifetime, though I know people who go every year. I recently wrote in more detail about how to manage a trip to Oktoberfest (read here). Since its humble origin as a wedding bash for Bavaria’s Prince Ludwig, it has morphed into a 16-day spectacular of parades, rides, entertainment, food, culture, attractions, and lots and lots of beer. But the surprise is that you don’t have to drink beer to enjoy it: most of the event takes place outside the beer tents in a fairgrounds setting that is popular with families, and there is even a wine tent for those who don’t drink the amber stuff. Plus, Munich is filled with huge, historic beer halls and gardens which you can visit outside of the fairgrounds.